Flannery Fans, get ready for an awesome season of events in Milledgeville just for you. Andalusia Farm is one of Milledgeville’s most beautiful and historic locations, and they have all the events for book lovers just like you. This Milledgeville landmark used to be the home of famous writer Flannery O’Connor, and many of her books describe the beauty of the farm. Come experience that beauty this January and February, all while enjoying your favorite activity. Our first Andalusia event is the Andalusia Farm Book Club on January 26, 2017 from 10:30 a.m. to 11:30 a.m. It is a drop-in event and the book club will discuss Flannery O’Connor’s short story, “A Late Encounter with the Enemy.” This short story was written in 1953, and is part of her collection “A Good Man is Hard to Find.” If you are a history enthusiast, this is O’Connor’s only piece that mentions the American Civil War. If you love the idea of reading at Flannery’s former home, this book club meets once a month, and features a different short story at each meeting. 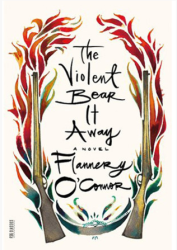 The February Four features different perspectives on O’Connor’s novel “The Violent Bear It Away” and it occurs on each Sunday of February from 3:00 to 5:00 p.m. This novel is especially famous because it is the last novel Flannery O’Connor ever wrote. The story focuses on a 15 year old boy who tries to escape his fate of becoming a prophet. The story features O’Connor’s classic Southern Gothic style and themes of the Catholic faith which Flannery was known for during her career. She also wrote this novel while living on Andalusia Farm in Milledgeville. These events are sure to be a blast for book worms and creative thinkers, and with the wide range of dates to visit, there is no excuse not to check it out! Each event will provide refreshments, good company and did we mention it’s free? 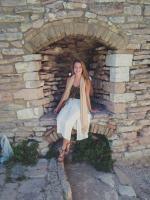 Visit andalusiafarm.org for more details, to check out their self-guided tours, or even support their community.